We all love to shoot pictures of nature, buildings, famous sights and local people. It is important to always ask for permission, before you take pictures of people. It’s merely out of respect and courtesy. In countries like US, you are in your rights to take photos of people without their permission, as long as they are in public space. In Dubai, you will always find exotic and interesting things and people and it is perfectly fine to take photographs. But you need to ask permission first. 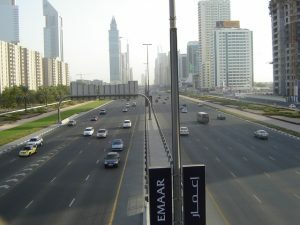 Dubai is one of the most modern city of the Arabian Peninsula. You will find latest fashion houses to the old traditional ways of life on display for tourists. It’s a interesting mix of curiosity, one always find it nostalgia to be able to see the two sides, Past and Present. Kudos to Dubai – Caution, here is what you can’t photograph in Dubai. They has maintained that very beautifully. Keeping in mind that Dubai is still an Islamic country not forgetting its old roots. One must have basic rules while taking photos around the city. These are not complex out of the box strange rules, but just basic courtesy and respect. Rule 1: Don’t shoot pictures of Emirati people especially women without their permission. Rule 2: No photography of government building and other sensitive areas. Rule 3: Photograph everywhere unless there is a sign or security guard tells you not too. Don’t make these rules stop you from venturing out into the streets of souk markets to capture traders, workers and shoppers. Put on a genuine smile and ask for a photo. I’m sure most of them would be fine with that. Next week, a guide to find and capture the multicultural essence of Dubai.